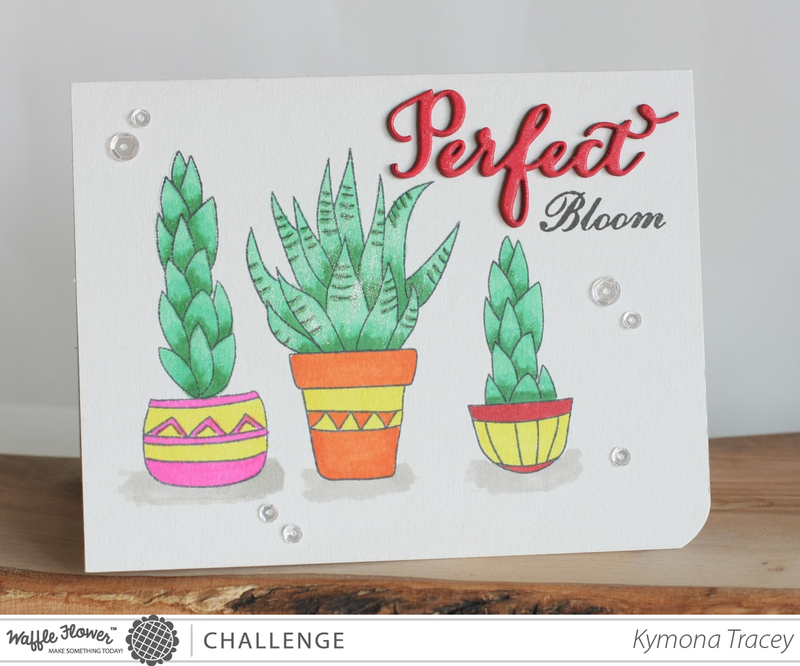 This is so pretty, Kymona! Love it! So super classy and very well done!! I do love the ingenius move you made on this card with that third plant on your card!! Your coloring has gotten so superb and I really love how perfectly placed all those sequins are – they make such a difference!! And your die cut and words look awesome together!! Another card knocked out of the park! !